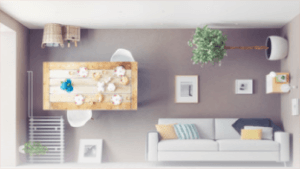 What if you could change the look of your home without having to do a thing? 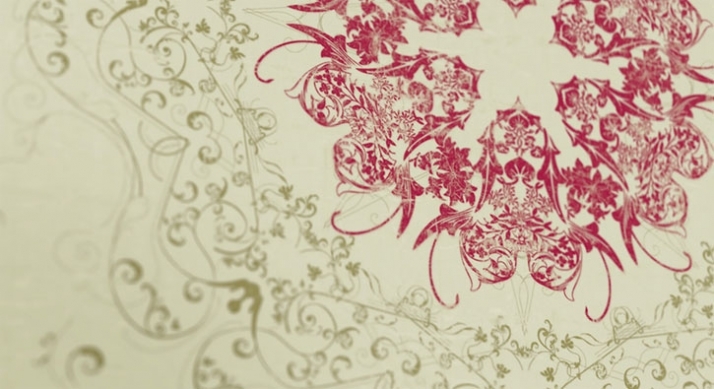 This heat-reactive paint has a number of amazing applications (more pictured below), but one of the most impressive is the color-changing wallpaper shown step-by-step here. As the temperature rises within a room the flowers on the branches slowly bloom, breathing additional life and color into a given space. As night falls and cooler temperatures prevail, the colorful flower print slowly fades back to a mellow green. Designer Shi Yuan demonstrates a variety of applications for fun color-changing pigments that can be used in wallpaper, posters, stationery, decorative objects and more. 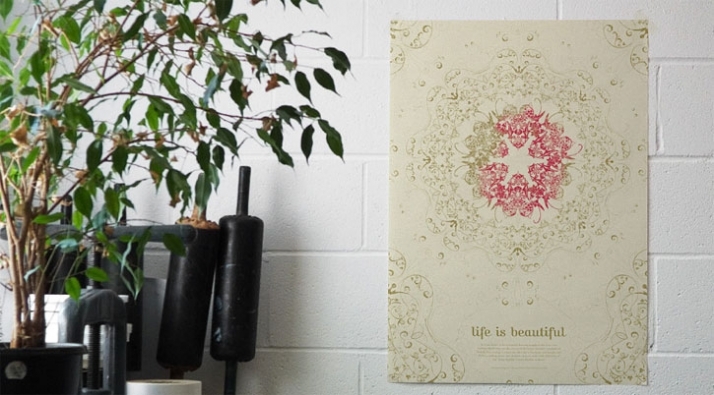 This “Life is Beautiful” poster looks monochromatic at first glance, but the details come out when you interact with it using your body heat. Considering the message, this poster becomes a lot more impactful when its viewers stop being passive observers and start applying their own creativity to the surface – not exactly an action that’s typically desired when it comes to art. The hands-on qualities of this heat reactive paint encourage us to reach out, touch, examine and enjoy objects with more of our senses. If you’re a germaphobe, the thought of that might make you shudder, but things like this are perhaps best enjoyed in the privacy of one’s own home, or in intimate correspondence between two people. 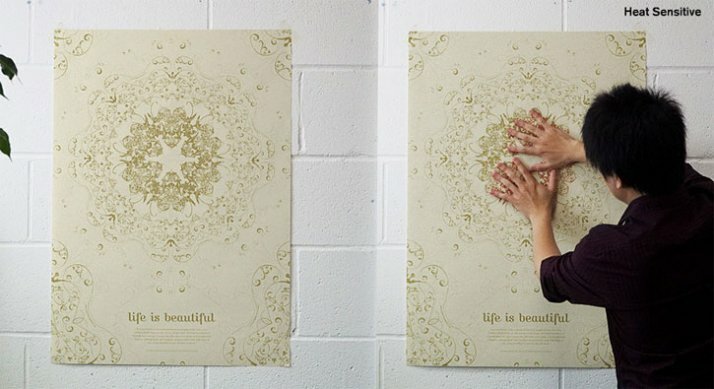 But thanks to its reactivity to its environment, the paint can transform all on its own, without any input from humans. For example, as a reminder of each passing day, the cooling of night can erase the current date on your wall-mounted calendar and show the passing of time into the next. Of course, all of this is just one artist’s personal interpretation of the possibilities of thermochromic paints and inks, and there are plenty of these materials available to experiment with. What would you use them for?